August 19th is National Honey Bee Day! Honey bees perform about 80% of the world's pollination, which includes pollination for nuts, fruits, and vegetables. Honey bee numbers are in decline but there are things you can do to help. You can plant bee-friendly flowers in your yard, and avoid using chemicals or pesticides on your lawn. You can also support local beekeepers by purchasing honey from a local farm. So go buy a jar of sweet delicious honey and do your part to save the honey bees! 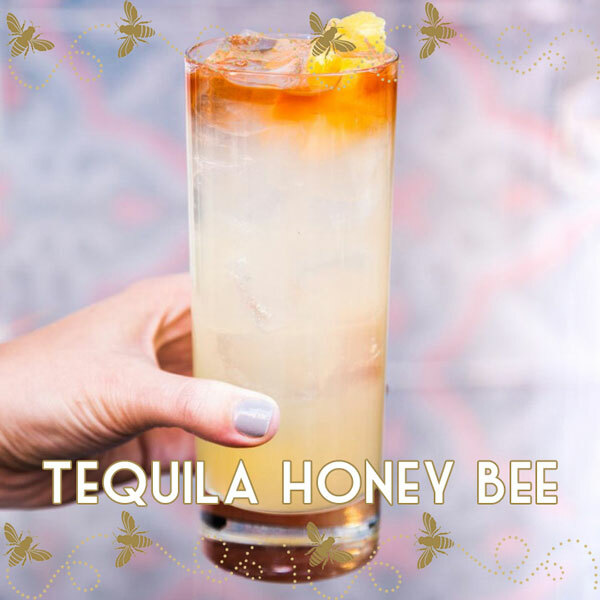 Here are some delicious cocktails to enjoy while you plant your new bee friendly flower garden. Conservation has never been this sweet. Gin, honey, and apple are some of the ingredients used to make this delicious cocktail. Find out how to mix up this cocktail over at A Saucy Kitchen. This cocktail features Grey Goose Vodka and makes a perfect after-dinner drink for any occasion. Get the full recipe over at Grey Goose. Bless Her Heart Y'all brings you this delicious cocktail which includes directions on how to make a honey simple syrup that you can use in your favorite cocktail recipes. Smokey añejo, tart lemon, and sweet honey create the perfect margarita combination. Get all the delicious details at Kitchen Swagger. Jack Daniel's Tennessee Honey gives the classic Moscow Mule a southern twist. Find out how to make it at Bake Love Give. Lemonade is a Summer favorite, and adding sweet honey makes it extra refreshing. Go visit The Little Epicurean and find out how to make it today. Elderflower, gin, and honey are just a few of the ingredients that make up this delicious Summer cocktail. You can find this easy recipe at By Gabriella. This cocktail was created by the beverage director at Egg Shop in NYC. It includes both Tequila and Mezcal, making it perfect for the upcoming Mexican Independence Day holiday. Get the recipe at Liquor.com. This pretty cocktail gets it's lavender hue from hibiscus petals! FInd out how to make this unique cocktail at The Proper Binge. Whiskey, honey, and sleep tea make up this relaxing cocktail from Broma Bakery. Mix one up and enjoy a quiet Summer evening.